Rescuing Press Freedom: How to Protect Journalists in the World? Journalists play a very important role in the word: they are the watchdog that reports and informs the public when abuses and violence happen. This is an essential role for a society that believes in human rights and democracy. Knowing what is happening and when something is going wrong is the fundamental requirement to act to prevent abuses and protect potential victims. This is also exactly why journalists are at risk of repercussions – because of what they discover and want to tell. Powerful organisations, such as governments and criminal cartels, often threaten, hurt or even kill journalists who have uncovered compromising facts that would damage them if made public. In Europe the recent murders of Daphne Caruana Galizia and Ján Kuciak show how dangerous this job has become even in more peaceful areas of the world, let alone in regions where human rights are less protected, such as parts of Mexico, India or Turkey. What can we do to protect journalists more? Many civil societies organisations have constituted protective networks, but can international institutions help? Our event in May, month of the World Press Freedom Day, will try to answer these questions and suggest solutions to this issue. 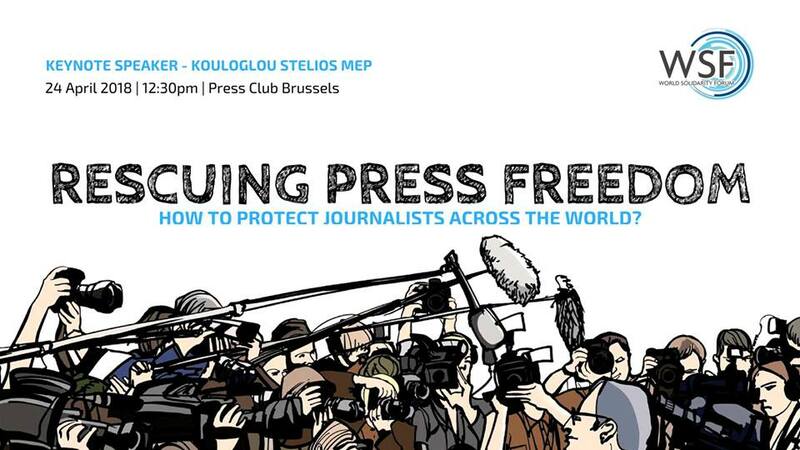 13.15 – Panel Debate with Q&A – How to Better Protect Journalists?